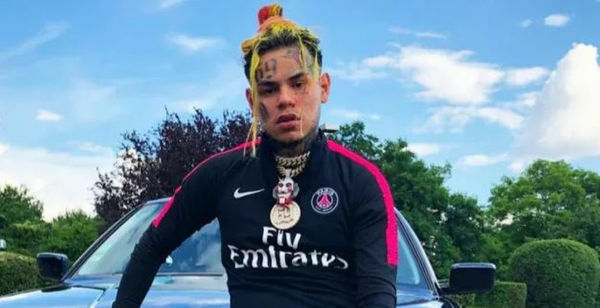 Tekashi 6ix9ine has a criminal history with underaged girls. Somebody is trying to use that against him. Earlier this weekend, 6ix9ine's rival Trippie Redd posted and deleted a photo of 6ix9ine in bed with a girl Trippie claims is 15. "She 15. Don't kill the messenger. GET THE STRAP," Trippie captioned. We got a little more context on the situation when DJ Akademiks leaked a text conversation between 6ix9ine and a girl who says she's 17. "I just spoke to #tekashi69 who is the rapper from the last post," says Akademiks. "Apparently according to him the chick is clout chasing after she asked for money to go bail out her boyfriend. And apparently after they didn’t do what she wanted she is claiming he smashed her underage." Click through the post below to view the leaked conversation.